This whole thing of having a quiet time can be confusing. You may be like the people who messaged me on Facebook this week. You’ve got questions, but have been too embarrassed to ask. Here are the most common Quiet Time Questions for Inquiring Minds. 1. Does my quiet time have to be in the morning? Absolutely not. I would encourage you to be intentional about when you’re going to have it, but it doesn’t have to be in the morning. Just look at the regular rhythm of your week and see when it works best for you. 2. You recommend having a “Quiet Time Spot.” What does this look like for you? You don’t have to have a spot. But, my kids know this is mine. One of my daughters recently called if my “Jesus Chair.” I love that! 3. You say that my quiet time needs to be with my Bible. Other people say that it can be a Christian book. Who’s right? I have wonderful, godly friends who agree with other people. And that’s fine. I just disagree. For my quiet time, I don’t want to read what other people say about the Bible. I want to read the Bible. 3. You recommend reading all the way through the Bible. What about all those lists, and genealogies, really, really boring parts? That’s one of the reasons I like this plan. In this list of people rebuilding the wall, we have this beautiful moment of a father and his daughters laboring together for a noble cause. It made me think about my husband and our daughters and the way he’s taught them to use power tools, and repair dry wall, and lay hardwood. I love this! I also think there’s something to be said for just old-fashioned gutting it out and persevering through the parts that simply are not as interesting to you. 4. Cindy, I’d like to have a regular quiet time, but I just can’t find the time. I know! It is HARD! Our lives are so busy. And we have so many demands on our time. And if you’re a mom with littles, I totally understand. With 7 kids within 8 years of each other, I get it. During these years, my quiet times weren’t so … quiet. And that’s okay. I will say that afternoon nap time was GOLDEN during those years. Can you find 15 minutes? Start there. 5. What kind of Bible do use? And you say you have a favorite pen? What about your journal? 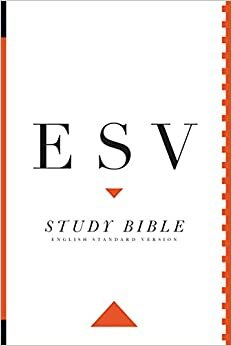 So, my favorite Bible is the ESV Study Bible. This is the one I’ve just completed. I think I’m going to switch to the Personal Size ESV Study Bible. It’s 2.6 pounds rather than 4.1. The text is 7.7 point rather than 9 point. So that’s a consideration. I prefer a hardcover over leather-bound. The pages are just a bit thicker and can stand up to my writing. I end up covering my Bible with duct tape after few months. But, I’m okay with that. 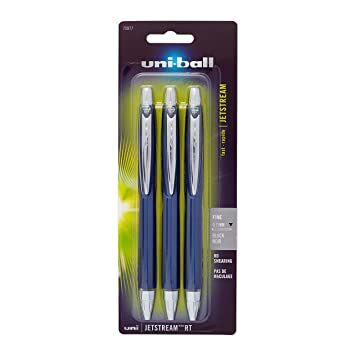 My favorite pen is the Uniball Jetstream Retractable Roller with a fine tip. My kids know that these are my favorite pens and they also know that if they just want to give me a little gift, this is one that I love! For journals, I like the Moleskine Classic Hardcover. I’ve tried off-brands, but always come back to Moleskine. It feels good, wears well, and the pages are a good thickness. 6. What do you do with your Bible once you’ve finished reading it all the way through? I do like to read it through and then start over with a new Bible. And I LOVE what I have planned for the Bibles I’ve “completed.” But, I can’t share publicly because it’s a surprise. If you want to know, leave a comment or message me, and I’ll be glad to fill you in. I’m super-excited about it. And it’s something that you can do too! Do you have more questions about quiet times? Either ask in the comments or message me on Facebook. If you have a question, you know that a hundred others have the same one!